Federalist No. 70, titled "The Executive Department Further Considered", is an essay written by Alexander Hamilton arguing for the unitary executive provided for in the United States Constitution. It was originally published on March 15, 1788 in The New York Packet under the pseudonym Publius as part of The Federalist Papers and as the fourth in Hamilton's series of eleven essays discussing executive power. Hamilton argues that unity in the executive branch is a main ingredient for both energy and safety. Energy arises from the proceedings of a single person, characterized by, "decision, activity, secrecy, and dispatch," while safety arises from the unitary executive's unconcealed accountability to the people. Jean-Louis De Lolme, quoted in Federalist No. 70 as saying, "the executive power is more easily confined when it is ONE"
Before ratifying the Constitution in 1787, the thirteen states were bound by the Articles of Confederation, which authorized the Continental Congress to conduct foreign diplomacy and granted sovereignty to the states. By 1787, both Congress and the states had accumulated considerable debt from the Revolutionary War, but the Articles of Confederation denied Congress the powers of taxation and regulation of foreign and interstate commerce. Alexander Hamilton, along with many other Framers, believed the solution to this and problems of federal law enforcement could be solved with a strong general government. Alexander Hamilton greatly admired the British monarchy, and sought to create a similarly strong unitary executive in the United States. One of the major influences on his thinking was political theorist, Jean-Louis de Lolme who praised the English monarchy for being "sufficiently independent and sufficiently controlled." In Federalist No. 70, Hamilton cites De Lolme to support his argument that a unitary executive will have the greatest accountability to the people. Hamilton was also inspired by William Blackstone and John Locke, who favored an executive who would act on his own prerogative while maintaining respect for constitutional obligations. Montesquieu, Machiavelli, and Aristotle, all of whom argued for strength in the executive, also served as inspiration for the arguments in Federalist No. 70. In fact, Hamilton's call for energy in the executive, as described in Federalist No. 70, mirrors Montesquieu's preference for a "vigor" in the executive. 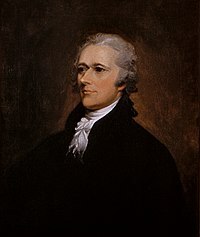 During the Constitutional Convention in May 1787, Hamilton proposed a plan of government, dubbed the "British Plan," featuring a powerful unitary executive serving for life, or during good behavior. Though this plan was rejected, James Wilson's proposal for a unitary executive, which Hamilton supported, was upheld with a vote of seven to three. As part of the Federalists' effort to encourage the ratification of the Constitution, Hamilton published Federalist No. 70 to convince the states of the necessity of unity in the executive branch. Federalist No. 70 argues in favor of the unitary executive created by Article II of the United States Constitution. ensure "energy" in the executive. Hamilton argues that a unitary executive structure will best permit purpose, direction, and flexibility in the executive branch—especially necessary during times of emergency and warfare. According to Hamilton, a unitary executive is best-suited to promoting accountability in government because it is easier to point blame at one person than to distinguish fault among members of a group. Because a unitary executive cannot "cloak" his failings by blaming council members, he has a strong incentive towards good behavior in office. Accountability, made easier by the existence of a unitary executive, thus promotes effective and representative governance. Beyond supporting a unitary executive, Hamilton recommends strength in the executive branch. Hamilton justifies executive strength by claiming that the slow-moving Congress, a body designed for deliberation, will be best-balanced by a quick and decisive executive. Hamilton also maintains that governmental balance can only be achieved if each branch of government (including the executive branch) has enough autonomous power such that tyranny of one branch over the others cannot occur. Alexander Hamilton writes that energy in the executive is "the leading character in the definition of good government." Some scholars equate Hamiltonian "energy" to presidential "activity," while others describe energy as a president's eagerness to act on the behalf on his constituents. According to Hamilton, unity contributes to energy by permitting necessary "decision, activity, secrecy, and dispatch" in the executive branch. At the same time, a unitary executive is incentivized to act on behalf of his constituents. As scholar Steven Calabresi writes, "a unitary executive would both cause power and energy to accrue to the office and facilitate public accountability for and control over how that power and energy was exercised." Hamilton also makes the case for duration, meaning a presidential term long enough to promote stability in the government. While Hamilton elaborates on the importance of duration in Federalist No. 73, he argues briefly in Federalist No. 70 that the prospect of more time in office will motivate a president to act in concert with the views of the public. Hamiltonian support can be defined as a presidential salary, which insulates government officials from corruption by attracting capable, honest men to office. According to Hamilton, public service does not provide men with fame or glory, so ample pay is necessary to attract talented politicians. Hamilton further expands upon his arguments for executive support in his essay, Federalist No. 73. The President's competent powers, or his powers guaranteed by the Constitution, are mentioned in Federalist No. 70 and more fully discussed in Federalist No.73 in the context of executive and legislative interactions, specifically the executive veto power. Hamilton argues that the executive veto provides stability by preventing "the excess of lawmaking"  and that the executive veto and judicial review will "shield...the executive" from legislative misbehavior. This argument is tied to Madison's praise of the separation of powers in Federalist No. 51, which he contends will permit the president to execute the laws and act as commander in-chief without fear of legislative encroachment on his powers. Scholars have differing views on the president's competent powers. Proponents of the Unitary Executive Theory assert that all executive power is vested in the president, and that the President has "unilateral authority, impervious to congressional or judicial scrutiny." Conversely, others read Article II of the United States Constitution as an "empty grant" that does not explicitly give the President the power to execute the laws. The Pennsylvania Constitution of 1776 provides for a Supreme Executive Council. Resistance to the unitary executive began well before the emergence of the Anti-Federalist Papers. After the Declaration of Independence in 1776, eleven of the thirteen states established constitutions to replace their charter governments. In a reaction to colonial rule, most of these constitutions were primarily concerned with a declaration of rights and weakening executive power. With the exception of New York, all of these states formed executive councils appointed by their respective legislatures. Pennsylvania's 1776 Constitution, which lasted until 1790, provided for a Supreme Executive Council consisting of twelve members chosen by popular ballot. The council and the unicameral legislature would elect a president from the members of the council, but the president would hold little authority over the council even in regards to military power. During the Constitutional Convention in 1787, several delegates opposed the unitary executive first recommended by James Wilson, and supported by Hamilton. Both Charles Pinckney of South Carolina and Gouverneur Morris of Pennsylvania had suggested advisory councils that would serve as a support rather than a check on the executive. Upon an invitation to dissent from Benjamin Franklin, who served as President of Pennsylvania's executive council, Roger Sherman of Connecticut stated his preference for the executive to be appointed by and directly accountable to the legislature, regardless of whether it was to be unitary or plural. Before the vote to approve the unitary executive, Sherman also commented that advisory councils in the majority of the states and even in Great Britain served to make the executive acceptable to the people. Edmund Randolph, who had presented the Virginia Plan, was the most outspoken opponent of the unitary executive, arguing that it would be unpopular with the people and could easily become monarchical. He warned against using the British government as a model for the Constitution, noting that energy, dispatch, and responsibility could be found in three men drawn from three different regions of the country just as well as in one. The single executive was nonetheless approved by a vote of 7 to 3. Later in the Convention, Hugh Williamson of North Carolina stated his preference for Randolph's suggestion that executive power be shared between three men representing three regions into which the states would be divided. He argued that this triumvirate would be the best way to assure that neither the Northern nor the Southern states' interests would be sacrificed at the expense of the others'. George Mason, considered one of the Founding Fathers, recommended a privy council for the executive branch. And to complete his uncontrolled sway, [the President] is neither restrained nor assisted by a privy council, which is a novelty in government. I challenge the politicians of the whole continent to find in any period of history a monarch more absolute. . . .
12. That the legislative, executive, and judicial powers be kept separate; and to this end that a constitutional council be appointed, to advise and assist the president, who shall be responsible for the advice they give, hereby the senators would be relieved from almost constant attendance; and also that the judges be made completely independent. Though he was in England at the time of the Anti-Federalist Papers, Thomas Paine, whose pamphlet Common Sense served as motivation for independence from British rule during the American Revolution, also opposed the unitary executive. While this position was already evidenced from his role as Clerk to the Pennsylvania Assembly during the writing of Pennsylvania's 1776 Constitution, he clearly stated it in a letter to George Washington in 1796. In this letter, Paine argued for a plural executive on the grounds that a unitary executive would become head of a party and that a republic should not debase itself by obeying an individual. In Federalist No. 70, Alexander Hamilton not only lays down an argument for a unitary executive, but also provides rebuttals to contemporaneous counterarguments in favor of a plural executive. Hamilton employs historical examples and the rhetoric of common sense to warn the American people of the weaknesses of a plural executive structure. In Federalist No. 70, Hamilton counters claims of his desire to recreate the monarchy by outlining the structural ways in which the president's power is more limited than the power of a king. He points out that the decisive president will be balanced and checked by a slow and deliberate legislative branch and that the president and the legislative branch will share responsibilities. For example, the president will make appointments and negotiate treaties, while the Congress will possess legislative powers and fund and set rules for the military. The Senate serves as a final check by providing (or not providing) its consent for appointments and treaties. Theodore Roosevelt's resolution to intervene in the Coal Strike of 1902. Woodrow Wilson's heavy use of executive power during and in the aftermath of World War I.
Federalist No. 70's arguments for an energetic, unitary executive are often cited in the context of national security. After 9/11, executive power and secrecy took on a more central role in the pursuit of national security. In this regard, members of the post 9/11 United States Department of Justice have argued that foreign policy is most effectively conducted with a single hand, meaning that Congress should defer to the president's authority. John Yoo, legal advisor to the Bush administration, has explicitly invoked Federalist No. 70 in his support for executive power over foreign policy. 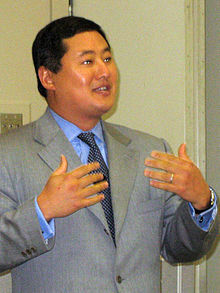 Referencing Hamilton, Yoo has claimed that "the centralization of authority in the President is particularly crucial in matters of national defense, war, and foreign policy, where a unitary executive can evaluate threats, consider policy choices, and mobilize national resources with a speed and energy that is far superior to any other branch." Yoo has also cited Federalist No. 70 in his support of the President's right to unilaterally conduct operations against terrorists without congressional consent. He claims that this power applies to operations against both individuals and states. At least one scholar has also argued that, because the president has the most access to national security information, only the president can know when the War on Terror is over and no longer mandates an expansive executive authority. President George W. Bush explicitly invoked the discourse of Federalist No. 70 in declaring that he was allowed to operate outside of the law when it conflicted with his prerogatives as the head of "the unitary executive branch." For example, when signing the 2005 Detainee Treatment Act, Bush applied Hamilton's unitary executive theory to claim the right to work outside the provisions of the Act when they conflicted with his responsibilities as Commander in Chief. President Obama has also used signing statements to expand his executive power, specifically by issuing a 2011 statement on an omnibus year-end spending bill. It has been speculated that this statement was made to nullify provisions of the bill that limited Obama's ability to deal with prisoners at Guantanamo Bay, thus expanding Obama's executive power. This action has been explicitly compared to Bush's 2005 signing of the Detainee Treatment Act. Not all scholars agree that Federalist No. 70 justifies the role that the President has played in the war on terror up to this point. Some scholars contend that President Bush's foreign policy decisions exceeded his presidential powers granted by the Constitution. Further, critics of the Bush Administration argue that any executive, as envisioned by Alexander Hamilton in Federalist No. 70, must act within the limits imposed by other provisions of the United States Constitution  and that the concept of the unitary executive does not allow the president to work outside laws passed by Congress, even when they conflict with national security interests. These critics argue that President Bush could have asked Congress to amend existing law or retroactively obtain warrants for surveillance and that he violated the constitution when he did not. President Obama has been similarly criticized for operating outside the law, despite statements at the beginning of his presidency which showed a desire to limit the use of signing statements to expand executive power. One of Hamilton's primary arguments for a unitary executive was that it increases accountability for executive action, thereby protecting liberty. Many have argued that the Bush administration's and Obama administration's use of secrecy and unilateral executive action has violated American liberty. One scholar, James Pffifner, claims that if Hamilton were alive today, he would amend Federalist No. 70 to say that the "energy of the executive needs to be balanced by the 'deliberation and wisdom that only the legislature can provide.'" The Brady Act effectively transfers this responsibility to thousands of CLEOs [chief law enforcement officers] in the 50 States, who are left to implement the program without meaningful Presidential control (if indeed meaningful Presidential control is possible without the power to appoint and remove). The insistence of the Framers upon unity in the Federal Executive--to ensure both vigor and accountability--is well known. See The Federalist No. 70. This comprehensive grant of the executive power to a single person was bestowed soon after the country had thrown the yoke of monarchy… Hamilton added: 'Energy in the Executive is a leading character in the definition of good government. It is essential to the protection of the community against foreign attacks; it is not less essential to the steady administration of the law, to the protection of property against those irregular and high-handed combinations which sometimes interrupt the ordinary course of justice...'It is thus apparent that the Presidency was deliberately fashioned as an office of power and independence. Of course, the Framers created no autocrat capable of arrogating any power unto himself at any time. Vinson referenced Federalist No. 70's arguments about energy in the executive to argue that the president should be allowed to seize private property in a time of national crisis. In a more recent 2004 case, Hamdi v. Rumsfeld, Justice Clarence Thomas utilized Federalist No. 70 to make the case that the president should have the power to suspend Habeas Corpus for American citizens in order to fight the war on terror. In both cases, the majority of the court was not persuaded that the expansions in executive power in question were justified. The Constitution that makes the President accountable to the people for executing the laws also gives him the power to do so. That power includes, as a general matter, the authority to remove those who assist him in carrying out his duties. Without such power, the President could not be held fully accountable for discharging his own responsibilities; the buck would stop somewhere else. Such diffusion of authority "would greatly diminish the intended and necessary responsibility of the chief magistrate himself. The Federalist No. 70, at 478. Roberts argued that the act in question deprived the president of the ability to hold members of an independent board accountable, thus freeing him or her of responsibility over the independent board's actions and depriving the people of their ability to hold the president accountable. ^ a b c d Prakash, Saikrishna Bangalore. "Hail to the Chief Administrator: The Framers and the President's Administrative Powers." Yale Law Journal (1993): 991-1017. ^ a b c d e f g h i j k l m n o p q r s t u v w x y z aa ab ac Hamilton, Alexander, et al. The Federalist. Vol. 43. Hackett Publishing, 2005. ^ a b c d e Izquierdo, Richard Alexander. "The American Presidency and the Logic of Constitutional Renewal: Pricing in Institutions and Historical Context from the Beginning." JL & Politics 28 (2013): 273-307. ^ a b c d e f g h i j k l m n o p q Calabresi, Steven G. "Some Normative Arguments for the Unitary Executive."Ark. L. Rev. 48 (1995): 23-104. ^ a b c d e f g h i Corwin, Edward Samuel. "President, office and powers." (1948). ^ a b Fatovic, Clement. "Constitutionalism and presidential prerogative: Jeffersonian and Hamiltonian perspectives." American Journal of Political Science 48.3 (2004): 429-444. ^ Paul Leicester Ford. "The Federalist",1898." ^ a b c d e f g h i j k Bailey, Jeremy D. "The new unitary executive and democratic theory: The problem of Alexander Hamilton." American Political Science Review 102.04 (2008): 453-465. ^ a b Prakash, Saikrishna Bangalore. "Hail to the Chief Administrator: The Framers and the President's Administrative Powers." The Yale Law Journal 102.4 (1993): 991-1017. JSTOR. Web. 19 Apr. 2014. ^ Bowen, Catherine (2010) [First published 1966]. Miracle at Philadelphia : the story of the Constitutional Convention, May to September 1787. New York: Little, Brown. ISBN 978-0-316-10261-2. ^ a b Hamilton, Alexander, et al. The Federalist Papers. Oxford: Oxford UP, 2008. Print. ^ Caldwell, Christopher. "Desperately Seeking Hamilton." Financial Times [London, England] 5 Mar. 2003, Comment & Analysis: 21. Print. ^ Montesquieu, Baron de. Spirit of the Laws: Complete Edition. N.p. : Cosimo Classic, 2011. Print. ^ US Constitution.net. "Constitutional Topic: The Constitutional Convention". Retrieved April 11, 2014. ^ a b c d e f g h Delahunty, Robert J., and John C. Yoo. "President's Constitutional Authority to Conduct Military Operations against Terrorist Organizations and the Nations That Harbor or Support Them, The." Harv. JL & Pub. Pol'y 25 (2001): 487. ^ a b c Mosier, Mark W. "The Power to Declare Peace Unilaterally." The University of Chicago Law Review (2003): 1609-1637. ^ a b c d Yoo, John C. "War and the Constitutional Text." U. Chi. L. Rev. 69 (2002): 1639. ^ a b c Boylan, Timothy S. "The Law: Constitutional Understandings of the War Power." Presidential Studies Quarterly 31.3 (2001): 514-528. ^ Schultz, David. ""Don't'Know Much About History: Constitutional Text, Practice, and Presidential Power (Forthcoming University of St. Thomas Journal of Law and Public Policy, 2011)." ^ a b c d Newbold, Stephanie P., and David H. Rosenbloom. "Critical Reflections on Hamiltonian Perspectives on Rule‐Making and Legislative Proposal Initiatives by the Chief Executive." Public Administration Review 67.6 (2007): 1049-1056. ^ Sundquist, James L. "Needed: A political theory for the new era of coalition government in the United States." Political Science Quarterly (1988): 613-635. ^ a b c Barber, Sotirios A., and James E. Fleming. "Constitutional Theory and the Future of the Unitary Executive." Emory LJ 59 (2009): 459. ^ a b Crockett, David A. "The Contemporary Presidency: Unity In The Executive And The Presidential Succession Act." Presidential Studies Quarterly 34.2 (2004): 394-411. Academic Search Premier. Web. 23 Mar. 2014. ^ a b c Ledewitz, Bruce. "Uncertain Power of the President to Execute the Laws, The."Tenn. L. Rev. 46 (1978): 757. ^ a b c Pope, Paul James. "George W. Bush and the Unitary Executive Theory: Deconstructing Unitary Claims of Unilateral Executive Authority." Order No. 3323777 Idaho State University, 2008. Ann Arbor: ProQuest. Web. 24 Mar. 2014. ^ a b c d e Orentlicher, David. Two Presidents Are Better Than One: The Case for a Bipartisan Executive Branch. New York: New York University Press, 2013. Print. ^ a b Bilmes, Linda J. "Federalist Nos. 67–77 How Would Publius Envision the Civil Service Today?." Public Administration Review 71.s1 (2011): s98-s104. ^ Miller, Gary J., and Thomas H. Hammond. "Powers Constitutional System." The federalist papers and the new institutionalism 2 (1989): 85. ^ a b Atkinson, Kory A. "In Defense of Federalism: The Need for a Federal Institutional Defender of State Interests." N. Ill. UL Rev. 24 (2003): 93-116. ^ Pierce Jr, Richard J. "Saving the Unitary Executive Theory from Those Who Would Distort and Abuse It: A Review of The Unitary Executive by Steven G. Calabresi and Christopher S. Yoo." U. Pa. J. Const. L. 12 (2009): 593. ^ a b Smith, Douglas G. "Separation of Powers and the Constitutional Text." Northern Kentucky Law Review 28.3 (2001): 595-611. ^ Rosenberg, Morton. "Beyond the Limits of Executive Power: Presidential Control of Agency Rulemaking under Executive Order 12,291." Michigan Law Review (1981): 193-247. ^ a b c Williams, Roger F. "Evolving State Legislature and Executive Power in the Founding Decade." Annals of the American Academy of Political and Social Science 498 (1988): 43-53. Print. ^ a b c d e f g Blunt, Barrie E. "Executive Constraints in State Constitutions under the Articles of Confederation." Public Administration Quarterly 13.4 (1990): 451-69. Print. ^ a b Hoxie, R. Gordon. "The Presidency in the Constitutional Convention." Presidential Studies Quarterly 15.1 (1985): 25-32. Print. ^ a b c d e f Beeman, Richard R. Plain, Honest Men: The Making of the American Constitution. New York: Random, 2009. Print. ^ a b Wrably, Raymond B., Jr. "Anti-Federalism and the Presidency." Presidential Studies Quarterly 21.3 (1990): 459-70. Print. ^ a b c Mason, George. "Objections to the Constitution of Government formed by the Convention." The Essential Antifederalist. By W. B. Allen, Gordon Lloyd, and Margie Lloyd. Lanham: UP of America, 1985. 12. Print. ^ Lee, Richard Henry. The Essential Antifederalist. By W. B. Allen, Gordon Lloyd, and Margie Lloyd. Lanham: UP of America, 1985. 12. Print. ^ Philadelphiensis. "The President as Military King." The Complete Federalist and Anti-Federalist Papers. By Alexander Hamilton, John Jay, and James Madison. New York: Classic Books America, 2009. 704. Print. ^ a b "The Address and Reasons for Dissent of the Minority of the Convention of Pennsylvania." The Essential Antifederalist. By W. B. Allen, Gordon Lloyd, and Margie Lloyd. Lanham: UP of America, 1985. 12. Print. ^ a b c Merriam, C. E., Jr. "Thomas Paine's Political Theories." Political Science Quarterly 14.3 (1899): 389-403. Print. ^ Tietjen, Gregory. Introduction. Common Sense. By Thomas Paine. N.p. : Fall River, 2013. vii-xxxi. Print. ^ Murray, Joseph A. Alexander Hamilton : America's Forgotten Founder. New York: Algora Pub, 2007. eBook Collection (EBSCOhost). Web. 8 Apr. 2014. ^ Stourzh, Gerald. Alexander Hamilton and the Idea of Republican Government . Stanford University Press, 1970. 613-635. Print. ^ a b Unbundled Executive, The." U. Chi. L. Rev. 75 (2008): 1385. ^ "Abraham Lincoln and Federalism." Abraham Lincoln and Federalism. N.p., n.d. Web. 10 Apr. 2014. ^ a b Loss, Richard. "Alexander Hamilton and the Modern Presidency: Continuity or Discontinuity?." Presidential Studies Quarterly (1982): 6-25. ^ a b Stone, Geoffrey R. "Protecting the Nation While Upholding Our Civil Liberties." Chicago Tribune. Chicago Tribune, 22 Dec. 2013. Web. 10 Apr. 2014. ^ a b c Palmer, Erin Louise. "Reinterpreting Torture: Presidential Signing Statements and the Circumvention of US and International Law." Human Rights Brief 14.1 (2006): 5. ^ a b c d Cooper, Phillip J. "George W. Bush, Edgar Allan Poe, and the use and abuse of presidential signing statements." Presidential Studies Quarterly 35.3 (2005): 515-532. ^ a b c Crouch, Jeffrey, Mark J. Rozell, and Mitchel A. Sollenberger. "The Law: President Obama's Signing Statements And The Expansion Of Executive Power." Presidential Studies Quarterly 43.4 (2013): 883-899. Academic Search Premier. Web. 21 Apr. 2014. ^ a b Mayer, Jane. The dark side: The inside story of how the war on terror turned into a war on American ideals. Random House LLC, 2009. ^ a b c Kreimer, Seth F. "Too Cloe to the Rack and the Screw: Constitutional Constraints on Torture in the War on Terror." U. Pa. J. Const. L. 6 (2003): 278. ^ a b c d Chemerinsky, Erwin. "Assault on the Constitution: Executive Power and the War on Terrorism, The." UC Davis L. Rev. 40 (2006): 1. ^ Garvey, Todd. "The Law: The Obama Administration's Evolving Approach to the Signing Statement." Presidential Studies Quarterly 41.2 (2011): 393-407. ^ Korzi, Michael J. ""A Legitimate Function": Reconsidering Presidential Signing Statements." Congress & the Presidency. Vol. 38. No. 2. Taylor & Francis Group, 2011. ^ Calabresi, Steven G. "Some Normative Arguments for the Unitary Executive."Ark. L. Rev. 48 (1995): 23. ^ Greenwald, Glenn. "Chilling Legal Memo from Obama DOJ Justifies Assassination of US Citizens." Theguardian.com. Guardian News and Media, 05 Feb. 2013. Web. 13 Apr. 2014. ^ "Secrecy Fetish Hurts Terror War." Cato Institute. N.p., n.d. Web. 13 Apr. 2014. ^ "American Civil Liberties Union." American Civil Liberties Union. N.p., n.d. Web. 12 Apr. 2014. ^ Bartosiewicz, Petra. "A Permanent War on Terror." Los Angeles Times. Los Angeles Times, 07 Dec. 2012. Web. 13 Apr. 2014. ^ Pope, Paul James. George W. Bush and the Unitary Executive Theory: Deconstructing Unitary Claims of Unilateral Executive Authority. ProQuest, 2008. ^ Hollis-Brusky, Amanda. "Helping ideas have consequences: Political and intellectual investment in the unitary executive theory, 1981–2000." Denver University Law Review 89.1 (2012): 197. ^ a b Printz v. U.S. Supreme Court of the United States. 27 June 1997. Find Law. Web. 13 Apr. 2014. http://caselaw.lp.findlaw.com/scripts/getcase.pl?court=US&vol=521&invol=898. ^ a b Simon, Kelly E. "Hamdi v. Rumsfeld." Geo. Immigr. LJ 17 (2002): 511. ^ a b c 343 U.S. 579; 72 S. Ct. 863; 96 L. Ed. 1153; 1952 U.S. LEXIS 2625; 21 Lab. Cas. (CCH) P67,008; 1952 Trade Cas. (CCH) P67,293; 62 Ohio L. Abs. 417; 47 Ohio Op. 430; 26 A.L.R.2d 1378; 30 L.R.R.M. 2172. LexisNexis Academic. Web. Date Accessed: 2014/04/13. ^ Westin, Alan F. The Anatomy of a Constitutional Law Case: Youngstown Sheet and Tube Co. V. Sawyer, the Steel Seizure Decision. Columbia University Press, 1990. ^ Anderson, James B. "Hamdi v. Rumsfeld: Judicious balancing at the intersection of the executive's power to detain and the citizen-detainee's right to due process." Journal of Criminal Law and Criminology (2005): 689-724. ^ a b Perkins, Jared. "Habeas Corpus in the War Against Terrorism: Hamdi v. Rumsfeld and Citizen Enemy Combatants." BYU J. Pub. L. 19 (2004): 437. ^ a b LEXIS 3254; 65 U.S.L.W. 4372; 73 Fair Empl. Prac. Cas. (BNA) 1548; 73 Fair Empl. Prac. Cas. (BNA) 1549; 70 Empl. Prac. Dec. (CCH) P44,686; 97 Cal. Daily Op. Service 3908; 97 Daily Journal DAR 6669; 10 Fla. L. Weekly Fed. S 499. LexisNexis Academic. Web. Date Accessed: 2014/04/13. ^ Kasten, Martin. "Summons at 1600: Clinton v. Jones' Impact on the American Presidency." Ark. L. Rev. 51 (1998): 551. ^ a b c 130 S. Ct. 3138; 177 L. Ed. 2d 706; 2010 U.S. LEXIS 5524; 78 U.S.L.W. 4766; 22 Fla. L. Weekly Fed. S 685. LexisNexis Academic. Web. Date Accessed: 2014/04/13.